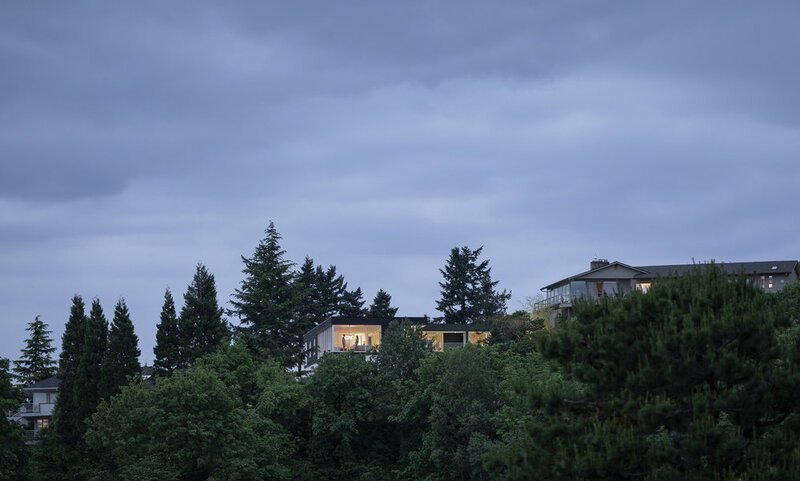 Tucked on a steeply sloping site with expansive views of the city and mountains, Myrtle View House is a complete reimagining of an existing 1950's residence. 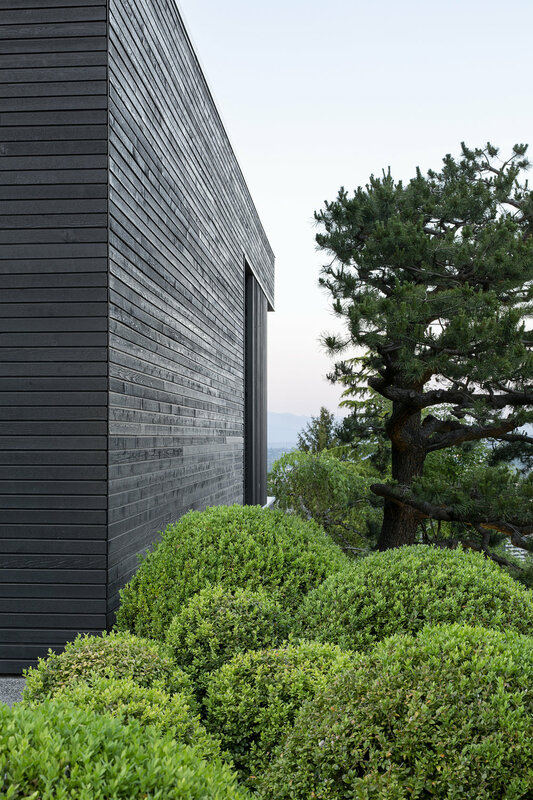 The compact low form with dark stained wood and simple detailing allows the house to maintain a low profile and quietly nestle into the slope. 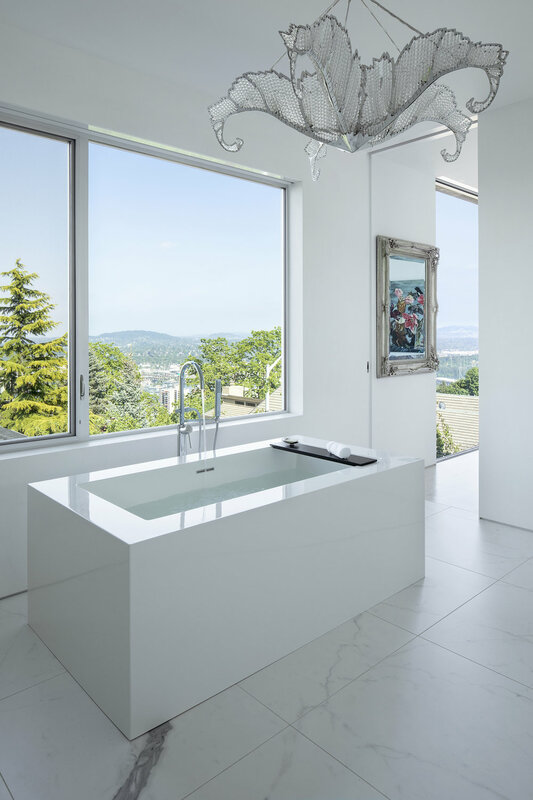 A restrained interior with minimal detailing allows the outdoor space and views to dominate, and provides a perfect background for the Owners personalized art and furnishings. A redeveloped courtyard with a small outdoor pool becomes a focal point for the main public rooms, with large sliding doors to provide a seamless flow from inside to out.